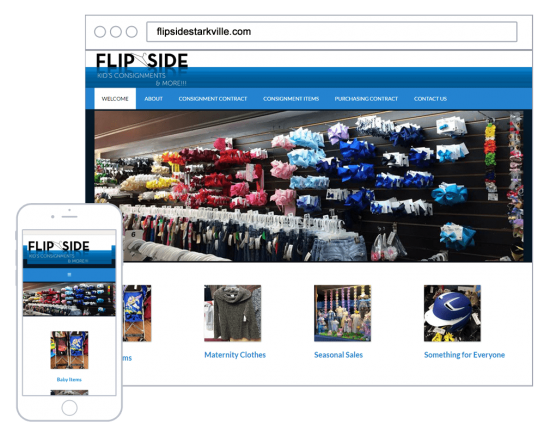 Flip Side is a Children’s Consignment store on Main Street in Starkville, MS. They specialize in children’s clothing, sizes newborn to 16, sports equipment, children’s bedding, shoes, and accessories. Flip Side Closed in 2017.